Sunday afternoon saw the return of Caernarfon Women’s RFC to St Helen’s, to face Swansea WRFC. The rivalry between the two club sides has produced great games and two Super Cup Finals. Both were won by the Swansea women. 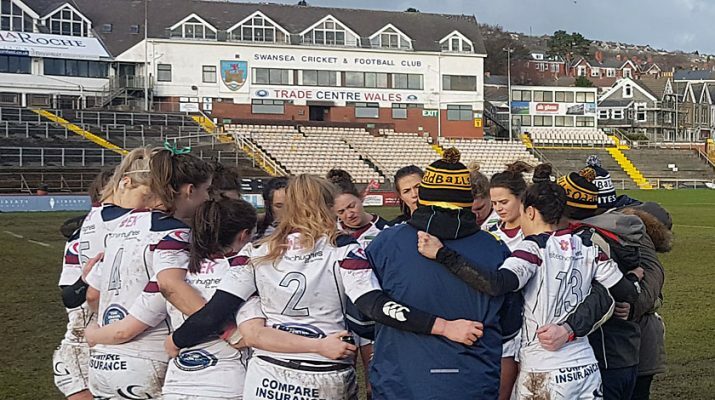 On Sunday, due to the Women’s Six Nations campaign, the result was hard to predict but Swansea, although unable to field a bench through injury and call ups, showed they were still the team to beat in Wales. 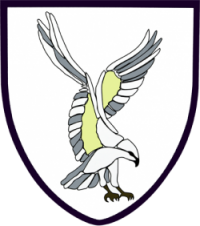 The resulting score of 73 – 5 underlined this as well as showcasing a valuable contribution from new signing Jodie Evans at fly-half. Captained by the experienced Robyn Lock The Whites went into the break with a 33 – 5 lead thanks to tries from Lock, Courtney Edwards, Kelly Tombs and two from new girl Jodie Evans who also kicked four conversions. Despite several players having to play out of position Swansea continued to dominate and the coaches will be pleased with the application of a somewhat depleted Whites team as they kept the foot on the gas for the second half. With no bench available the fifteen Whites set about the second half in fine style. Prolific scorer Fee Bowen got on the score sheet, turning out at inside centre instead of the regular wing berth. Her centre partner Rosie Mankee crossed twice. Sasha Baily at full-back also added to the try count and the irrepressible Robyn Lock scored twice more for a deserved hat trick. Impressive Jodie Evans converted five of the six second half tries into goals for a final score of 73 – 5.